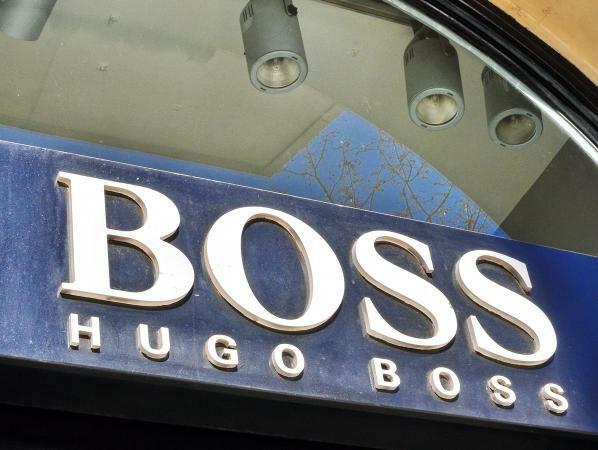 At the start of the twenty-first century Hugo Boss AG was among the biggest companies producing menswear in Germany and, in the last decade of the twentieth century, dominated the German menswear designer market through the distribution of various lines and licenses. In 1923 Hugo Boss founded the clothing company in Metzingen, near Stuttgart in the south of Germany. At first the company specialized in the production of work clothes, overalls, raincoats, and uniforms. From 1933 onward it made uniforms for German storm troopers, Wehrmacht, and Hitler Youth. Boss brought forced laborers from Poland and France to his factory to boost output in the following years. When Boss died in 1948, the factory returned to making uniforms for postal and police workers. In 1953 it produced its first men's suits. By the early 1970s, after several changes in the management and ownership since the founding of the company, Jochen and Uwe Holy, the grandchildren of Boss, took over work-wear manufacturing, and the duo started to manufacture fashion-conscious men's suits and sportswear. In the following years the new owners turned Hugo Boss from a work-wear manufacturer into a stylish clothes company for formal men's wear. Hugo Boss was the first German company to construct a brand identity within the men's wear sector. After the relaunch of the Boss brand in the early 1970s, the company developed steadily into an international fashion designer house. In the 1980s, Hugo Boss constructed a high degree of brand awareness through the distribution of licenses and brand extension in fragrances, dress shirts, sportswear, knits, and leatherwear. Boss went public in Germany in 1985. Their formal menswear, in particular, became strongly associated with the Yuppie. Family control ended in 1992, and since 1993 Mazzotto S.p.A. in Valdagno, Italy, has held majority control of Hugo Boss AG. The company operates in more than ninety countries with a product range including body-wear, cosmetics, evening wear, eyewear, fine clothing, formal wear, fragrances, hosiery, leisurewear, shoes, and watches. Since control by Mazzotto began, Hugo Boss AG has applied a three-brand strategy for the men's wear market under the labels Boss Hugo Boss, Hugo, and Baldessarini. Boss Man, the company's core brand is divided into three subsidiary labels-Black Label (business and leisure wear), Orange Label (urban sportswear), and Green Label (outdoor activewear). The Hugo brand encompasses an avant-garde collection, which is designed for business and leisure, and which combines unconventional details with new materials. The Baldessarini brand is the most sophisticated label, featuring the finest Italian fabrics and hand stitching. As a traditional men's wear manufacturer, Hugo Boss made an unsuccessful attempt to start a women's wear line in 1987. Eleven years later Hugo Boss successfully launched the female counterpart to the male Hugo label. In 2000 the designer brand introduced Boss Woman, designed for the sophisticated female business-woman. The Hugo Boss brand is clearly defined by a dynamic design with an emphasis on functionality, clean lines, and attention to details. The Hugo Boss collections are distributed on the international market through selected specialty stores and Hugo Boss monobrand shops. The collections are designed and managed according to a standardized concept that reflects the clean, stylish brand image applied at monobrand shops worldwide. Nevertheless, the company opened a 20,000-square-foot store in New York City in 2001 that presented all brands and collections under one roof for the first time. See also Men's Formal Wear; Business Suit; Military Uniforms; Occupational Uniforms. Clark, Andrew. "Dressed for Success." Guardian, 24 February 2001. Available from http://guardian.co.uk . Interview with Werner Baldessarini, the chairman of Hugo Boss. Givhan, Robin. "Fashion Firm Discovers Its Holocaust History: Clothier Hugo Boss Supplied Nazi Uniforms with Forced Labour." Washington Post, 14 August 1997.